Last week the fellow who came over to cart off all my decrepit gardening equipment for repairs was admiring my chickens. 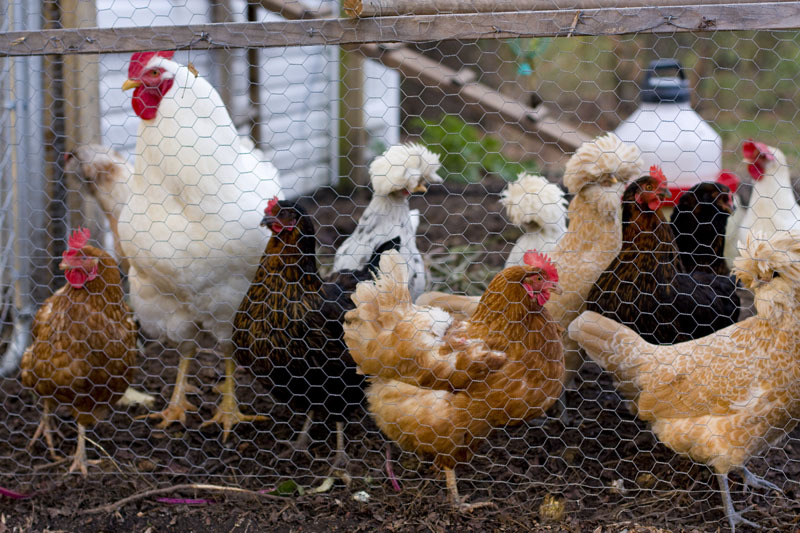 He was particularly taken with the Polish hens and their feathered headdresses. “They’re beautiful! Do you cut their hair like that?” he asked. I swear. He really asked me that. Of course, that was last week when it was dry and the sun was shining. The chickens looked all primped out and gorgeous. Not like today, after days and days of rain, when their “hair” is dirty. 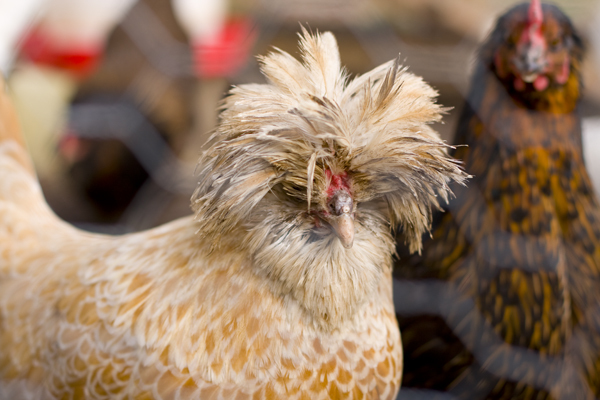 Now the poor Polish hens look a little worse for wear. 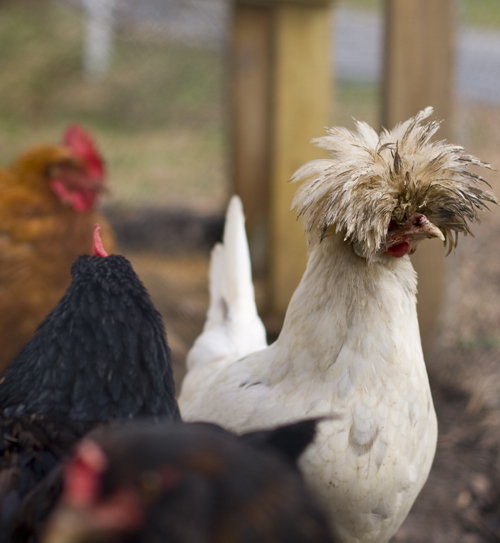 They are in need of a little chicken hair styling. Or at the very least a shampoo and blow dry. They’re having a very bad hair day.